Matthew-Aaron Dusk (born 1978 in Toronto, Ontario, Canada) is a Canadian jazz musician / vocalist. His major label debut album "Two Shots" has been certified gold in Canada and he has appeared on Mark Burnett's reality TV show "The Casino". 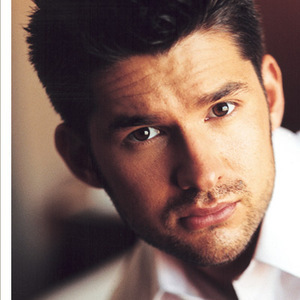 From an early age, Matt Dusk wanted to become a performer. At the age of seven, he was accepted into the St. Michael's Choir School, where he remained for eleven years. Originally Dusk performed opera and classical music but after hearing a couple Tony Bennett and Sarah Vaughan records at the age of 17 he began to change his musical style and direction. From an early age, Matt Dusk wanted to become a performer. At the age of seven, he was accepted into the St. Michael's Choir School, where he remained for eleven years. Originally Dusk performed opera and classical music but after hearing a couple Tony Bennett and Sarah Vaughan records at the age of 17 he began to change his musical style and direction. In 1998 he won the top spot in the Canadian National Exhibition Rising Star Competition, beating out 654 contestants. However, Dusk was on a path to take over the family business, and in 1998 went to Toronto's York University to study economics. After spending a year in the economics department, Dusk could not forget his passion for music and in 1999 changed programs to study for a BFA in music, where his emphasis was squarely on jazz and popular music. He studied jazz theory with John Gittins, jazz vocal with Bob Fenton, and attended a masterclass with Oscar Peterson. Dusk was also awarded the university's Oscar Peterson Scholarship and in 2002 graduated with an honors degree in music. Before Dusk had secured a major record deal, he recorded four independent CDs (The Way It Is being the only one re-released thusfar) and many of his songs became popular on MP3 websites. In March 2003 he signed a major record deal with Decca Records. In 2004 Dusk was invited to the Golden Nugget Casino in Las Vegas to perform as in-house entertainer throughout the filming of the hit reality TV show on FOX, "The Casino". His debut album "Two Shots" was released on June 5, 2004. The album produced the hit single, "Two Shots of Happy, One Shot of Sad" which was written by Bono and The Edge from the Irish rock band U2. Dusk followed up his debut album with a holiday album entitled "Peace On Earth" which was released November 30, 2005. In January 2006 Dusk travelled to Los Angeles to record his next album Back In Town at Capitol Records fabled Studio A. Here, Dusk recorded with a 58 piece orchestra. Back In Town features a mix of jazz standards and originals, and was released in June of 2006. As a promotion, Matt included personally signed liner notes with every pre-ordered copy of this album.